A novelty from the 2014 Ste. Marie Show, and from a mine unknown until now. 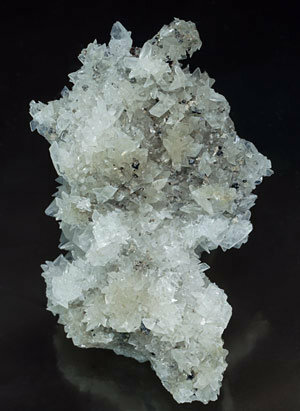 Very sharp colorless tabular crystals, transparent and on matrix, with Andradite, Galena and Wurtzite. Among the highest quality for the species. The samples have been analyzed and we'll send a copy of the analysis to the buyer. A novelty from the 2014 Ste. Marie Show, and from a mine unknown until now. 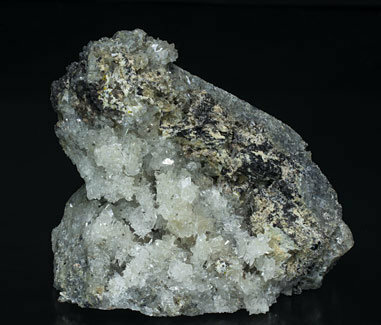 Very sharp colorless tabular crystals, transparent, very bright and on matrix, with Andradite, Galena and Wurtzite. Among the highest quality for the species. The samples have been analyzed and we'll send a copy of the analysis to the buyer. A novelty from the 2014 Ste. Marie Show, and from a mine unknown until now. 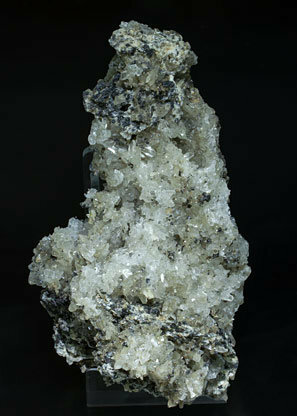 Very sharp colorless tabular crystals, transparent, veryy bright and on matrix, with Andradite, Galena and Wurtzite. Among the highest quality for the species. The samples have been analyzed and we'll send a copy of the analysis to the buyer.